Fridays through December 21st from 2:00 - 5:00 p.m.
Indy Convergence and River West Coffee and Tea are teaming up on Fridays to create a pop-up coffee shop on West Michigan Street! 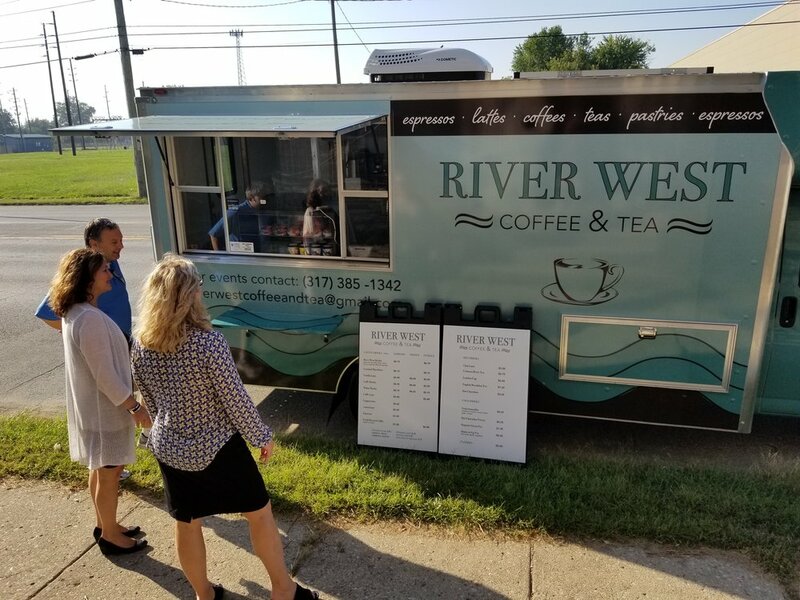 Enjoy coffee from River West Coffee truck while visiting Indy Convergence at 2611 West Michigan St., 46222. Visitors are welcomed to utilize Indy Convergence as a place to relax, have an afternoon meeting or peruse the Haitian art collection. Creative seating and wifi is available! Stop by on Fridays through December 21 from 2-5pm and follow @IndyConvergence and @riverwestcoffee on Facebook for updates.